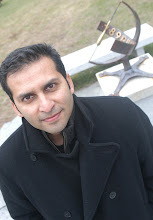 Growing up in Pakistan, I did hear a lot about the Moghul Emperors, but rarely about science. In fact, if science was brought up, it was to state their lack of interest in the subject and, thus, one of the big reasons for their fall. There were some exceptions. There is probably an embellished tale of Humayun, the second Moghul Emeperor, slipping down the stairs to his death after watching stars at night. There have also been stories of the Moghuls and their love of birds, especially pigeons. In fact, Akbar's court (the third Moghul Emperor) had 20,000 pigeons including 500 trained ones. And then there was Musavi's 18th century book of poems, Kabutarnamah, which included 163 couplets followed by prose explaining the differences in pigeons! In your paper Jahangir as Francis Bacon’s Ideal of the King as an Observer and Investigator of Nature (1998), you write that “Jahangir has indeed been something of a Cinderella of text-based Mughal historical studies because of the focus of Mughal historians has been on Akbar’s and Aurangzeb’s reign.” This was way back in 1998. Is the situation different now? Yes, the situation has changed somewhat because now, we do have historians who are getting interested in Jahangir. We have Corinne Lefevre, who is a student of Sanjay Subrahmanyam and she is doing her dissertation and writing a book on Jahangir. Also, Lisa Balabanlilar has recently come out with a book on Jahangir in London. So Jahangir is getting more attention from mainstream historians. But art historians were always interested in him. And scientists also, since he made important contributions to ornithology and biology. He is still quoted by Salim Ali in his book on Indian birds. Jahangir was self-taught as were Akbar and Babur before him. But what drew him to biology, botany, geology, ornithology and zoology? Is there something in his childhood and early years that triggered his interest in these disciplines? It is a very unique phenomenon and in a way, we can describe it as a dynastic interest of the Mughals. It starts with Babur. He gives us very vivid descriptions of the flora and fauna of Hindustan in the Baburnameh, his own autobiography, which is a unique text of the 16th century-world. The way he talks about his own experiences as a warlord—he wanted to be a successor to Timur and raise a new empire and finally, he directed his interest to Hindustan—he describes all this. 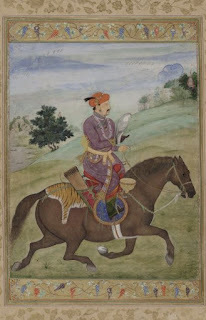 In a way, Jahangir picks up from Babur. He tells us, “My ancestor Babur describes the phenomena (which I am describing) but I am also directing my painters to make illustrations so that these phenomena would not only be recorded in text but also visually, in images. And he did so. We have wonderful bird studies by Ustad Mansur, his court painter, who was a specialist in nature studies. Why was Jahangir so interested in breeding experiments, like the one with a pair of Sarus Cranes and the one where he crossed two male Markhor with seven female Barbary goats? Jahangir did not believe in knowledge that was transmitted through to one through hearsay or literary sources. He rather believed in acquiring knowledge through experiments and practical application. This was also what Sir Francis Bacon in England suggested, should be done. It is extremely fascinating to know about what Jahangir did here in India but hard to explain. But here again, we know that it is a family tradition, a dynastic interest because Akbar also had experiments undertaken. In the late 1570s, Akbar started an experiment and had children brought up in a secluded house with nurses who were not allowed to talk to them, to find out whether they would speak on their own and in what language. The experiment failed tragically because the children remained dumb and some even died tragically. “Jahangir”, you write, “recorded, depicted, measured, enumerated and tested what he considered as noteworthy and outstanding.” Was Jahangir then, a true scientist or something else? Obviously, he was something of an amateur. But sometimes, we get better scientific research from amateurs. Take for instance, photography. The best photographs that you have of Agra and the Taj Mahal are not from a professional photographer, but a certain Dr. John Murray who was employed by the British East India Company. Jahangir was an amateur as he did not have training as a scientist. But other Mughal emperors were really talented personalities. So, in this way, he had a natural talent for these observations. Also, we do not know about the people around him. Though it is possible that he had advisors but he does not mention them. Only once in the Tuzk-e-Jahangiri, he speaks about “men of superior knowledge” who advised him during the construction of his father’s tomb in Agra. So some people seem to have been around and it may also have been for science. But we do not get the notion. But he had an agent sitting in Goa, named Muqarrab Khan, who was tasked with sending exotic birds and animals to Agra. He sent a North American turkey and monkey once and Ustad Mansur drew the turkey, the painting of which survives till today.